Apply after sun exposure. Keep applying after your holiday to make your tan last longer. This after sun balm bathes your face and body in comfort. 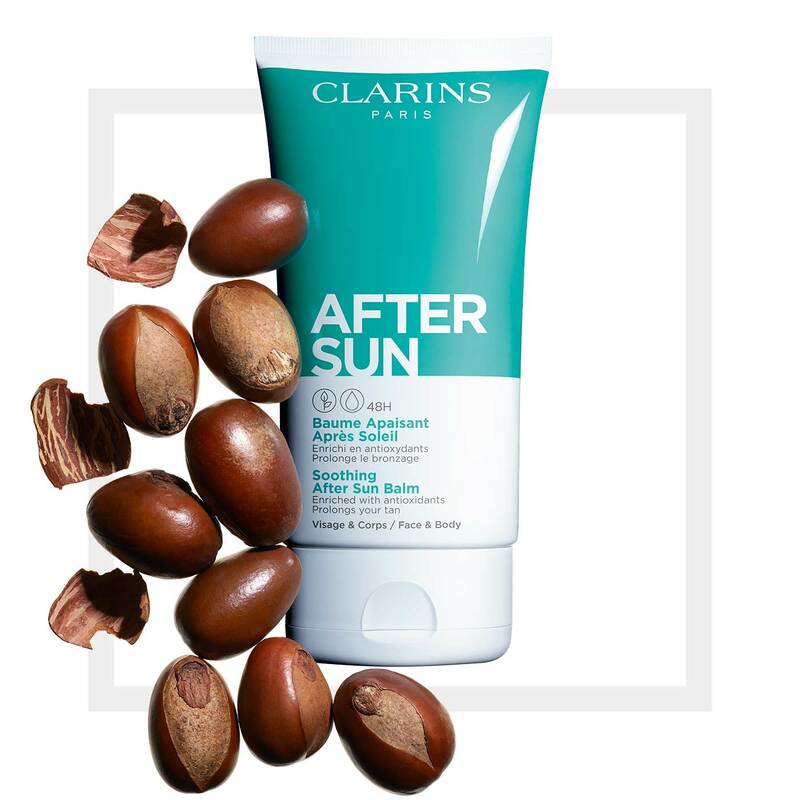 With a creamy balm texture for all skin types for relief from sun damage after exposure to enhance and make your glowing holiday tan last a long time. Cools hot sensations and soothes. Deeply moisturises for 48 hours, nourishes and softens. Protects against free-radical damage and regenerates the skin. Beautifies, extends and intensifies tans. Non-sticky, melts on the skin. Leaves the skin supple and comfortable. Great scent that reminds you of the sun and holidays. This extract reduces hot sensations and soothes. Combined with watermelon and shea butter extracts, this extract deeply hydrates for 48 hours, nourishes and softens the skin. Combined with aloe vera and shea butter extracts, this extract deeply hydrates for 48 hours, nourishes and softens the skin. Combined with aloe vera and watermelon extracts, this extract deeply hydrates for 48 hours, nourishes and softens the skin. This extract helps protect against free radicals and leaves the skin renewed, soft and comfortable. Apply evenly on the body and face for soothing relief.